Ted Apel is a sound artist whose sculptures and installations focus on the audio transducing element as the source of visual and sonic material. He has exhibited his work at the SoundCulture festival in San Francisco; the Ussachevsky Festival in Claremont, California; the Audio Art Festival in Krakow, Poland; the Sound Symposium in St. John's Newfoundland; the O.K. Center for Contemporary Art in Linz, Austria; and the Academy of Arts, Berlin. He was twice a prizewinner at the Bourges International Electroacoustic Music Competition for his sound installations; his sound installation received an honorary mention at the Prix Ars Electronica; his sound installation won the grand prize in the Idaho Triennial; and the first annual FETA prize for sound art. Ted Apel received his M.A. in electroacoustic music at Dartmouth College and his Ph.D. in computer music at the University of California, San Diego. He is currently an assistant professor in the College of Innovation and Design at Boise State University. Nicolas Bernier creates audiovisual installations, performances, musique concrète, live electronics improvisations and video art, while also working with dance, theatre, moving images and within interdisciplinary contexts. In the midst of this eclecticism, his artistic concerns remain constant: the balance between the cerebral and the sensual, and between tangible materials and digital means. Awardee of the prestigious Golden Nica at Prix Ars Electronica 2013 (Austria), his work has been presented in major events and venues such as SONAR (Spain), Mutek (Canada), DotMov Festival (Japan), ZKM (Germany), Transmediale (Germany) and LABoral (Spain), to name a few. His sound compositions are widely published on electronic music labels: Crónica (Portugal), LINE (US), leerraum (Switzerland), Entr’acte (UK) and empreintes DIGITALes (Québec). He holds a PhD in sonic arts from the University of Huddersfield (UK). He is a member of Perte de signal, CIRMMT and Hexagram media arts research and development centres based in Montreal. He teaches in the Digital Music program of the Université de Montréal. Myriam Bleau is a composer, digital artist and performer based in Montreal. She creates audiovisual systems that go beyond the screen, such as sound installations and performance-specific musical interfaces. Her hybrid electronic practice investigates music performance as a codified cultural manifestation and recontextualizes pop culture elements and music history tropes. Her work has been recognized and presented internationally: the Prix Ars Electronica (AT), Sónar (ES) and Sónar Hong Kong, Sonic Arts Award (IT), Elektra (CA), Mutek (MX), ISEA (CA), Transmediale (DE), ACT (KR), LABoral (ES), Scopitone (FR) and Cafe Oto (UK), to name a few. Richard Chartier is a Los Angeles based artist, considered one of the key figures in minimalist sound art. Chartier’s works explore the interrelationships between the spatial nature of sound, silence, focus, perception, and the act of listening itself. Chartier’s critically acclaimed sound works have been published since 1998 on a variety of labels internationally including Room40 (Australia), Editions Mego (Austria), Important Records (US), Ash International (UK), Raster-Noton (Germany), Spekk (Japan), Trente Oiseaux (Germany), NVO (Austria), Farmacia901 (Italy), 12k (US), and his own imprint LINE (US). Chartier’s sound works/installations have been presented in museums and galleries internationally including the Whitney Biennial and the influential sound art exhibit Sounding Spaces at NTT/ICC in Tokyo. His performances have occurred live across Europe, Japan, Australia, and North America. Born in New Zealand and based in Australia, Grayson Cooke is an interdisciplinary scholar and media artist, Associate Professor of Media in the School of Arts and Social Sciences at Southern Cross University. Grayson is an award-winning media artist whose work shows regularly in galleries and festivals around the world. His collaboration with sound artist Mike Cooper, “Outback and Beyond”, was the winner of a “New Face” award in the 16th Japan Media Arts Festival in 2012. This work and others have been exhibited or performed at major festivals such as the WRO Media Art Biennale and the Imagine Science Film Festival in New York, and at key venues such as MONA in Hobart, the National Art Centre in Tokyo, and the National Taiwan Museum of Fine Arts. As a scholar, he has published many articles in highly regarded media/technology journals including Leonardo, Convergence, Body and Society and Culture Machine. He writes on many topics including art/science, new media, live audio-visual performance and the archive. He holds a BA(HONS) from Victoria University of Wellington and an interdisciplinary PhD from Concordia University in Montreal. Bridget Johnson is a sound artist, kinetic sculptor, and instrument builder based in Wellington, New Zealand. She received a PhD from Victoria University working with both the School of Engineering and Computer Science and the New Zealand School of Music and is now the a Senior Lecturer and the Major Coordinator for Music Technology at CoCA, Massey. Her work focuses on exploring the way sound can move through space and developing new interfaces to allow composers and performers to further explore expressivity through real time spatialisation in their work. Her installations explore these themes in combination with site-specificity and abstraction of time. Blake Johnston is a New Zealand-based sound artist, currently completing his doctoral studies at Te Kōkī, New Zealand School of Music, Victoria University of Wellington. His artworks explore his idea of the metaperceptual: the approach of using the perceptual apparatus of the audience as the base materials for his works. These works are environments and experiences, which invite the audience to meditate on their own perception, and the way their unique subjectivity colours their experience of the world. The audience becomes an integral part of the artwork, as their presence and perspective co-creates the work with the curated environment. This approach has the potential to create unique experiences; interactive in a way that gives the audience control of their navigation of the artwork and gallery environment. Blake Johnston’s work adopts new forms of technology to create these environments and experiences across multiple disciplines. This includes live performance, kinetic sculpture, musical mechatronics, wearable technology, and installation art. His works have been exhibited locally and internationally: including Australia, Colombia, United Kingdom, Hong Kong, United States of America, and Greece. He has given artist talks at the Australasian Computer Music Conference and the International Symposium on Electronic Art. Locally, he has performed and/or exhibited at the Adam Art Gallery, Bowen House Gallery, Toi Pōneke Arts Centre, and Wellington City Gallery. She performs regularly as a soloist, with the ensemble MAZE and in the longstanding duo Shackle. She is a founding artist of Splendor Amsterdam, a collective of musicians who have transformed an old bathhouse in Amsterdam into a cultural mecca, where she regularly produces and shares small scale concerts with international guests. Her music is published by Frog Peak Music, Donemus and many of her Max patch based compositions are available as Apps from her privately. She is the Managing Director of the Volsap Foundation that produces innovative music projects. Since 2000 Matt has worked as a sound effects designer in the Wellington film industry. Vehicles, creatures, fights, atmospheres, weapons – both realistic and fantastical – comprise his portfolio. Matt wrangles the principles of musicality into sound effects that resonate with the characters and tone of each film he is involved in. He has worked on Miramar peninsula blockbusters such as The Hobbit, Mortal Engines and King Kong, on Chinese extravaganzas like Wolf Warrior 2, Kung Food and 10000 Years later, and on Kiwi arthouse films including Human Traces, Home by Christmas, What We Do In the Shadows and Pork Pie. 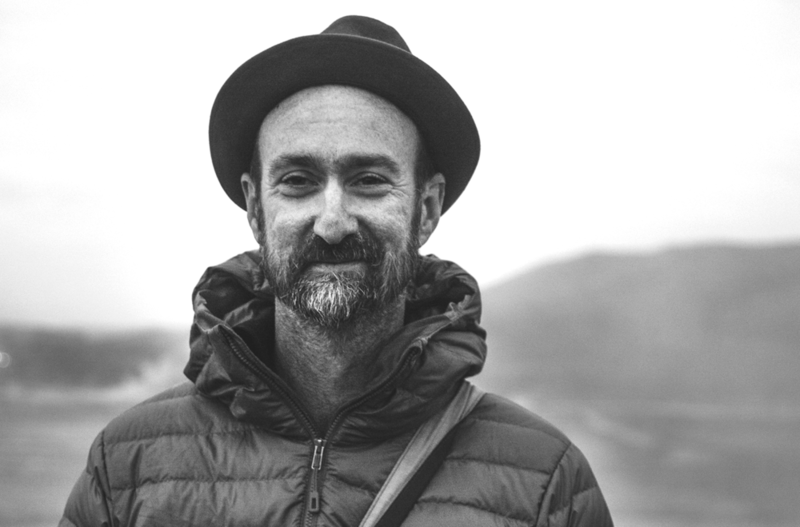 Matt is currently Creative Director of POW Studios Ltd, which fosters a democratised approach to sound design creation and apprenticeship, and promotes international animation, sound and film collaborations between New Zealand and China, South Korea and Europe. He holds a BMus and Postgraduate Diploma in Music in electroacoustic composition from Victoria University. Matt is presently completing a Master of Musical Arts at the New Zealand School of Music, and his interest in ecology and pan-entity politics is at the forefront of his creative research. Sounds seen and unseen, heard, remembered and auralised, rare or abundant, spoken, sung, played, transduced, reproduced, transformed, and synthesised, measured and musical, unruly and feral, corporeal, material, environmental. Audible forms such as these populate the collusions – between sound, music, language, technologies and people – from which Dugal McKinnon’s work emerges. Outside these transitory zones, Dugal is Deputy Director of the New Zealand School of Music – Te Kōkī, where he teaches sonic art and composition, and is Director of the Lilburn Studios for Electronic Music. Jim Murphy builds automated musical instruments and electromechanical sculptures, using these new apparatuses in music and dance performance, installations, and pedagogical contexts. Jim's works often focus on the endowment of traditional musical instrument topologies with further degrees of freedom, allowing extended techniques to be mechatronically realised, providing composers with physical instruments whose input paradigms are similar to those used mainly in electronic music. Along with Mo H. Zareei, Jim is a member of Technical Earth, a collaboration that explores audiovisual kineticism through an empirical and reductionist lens. Jim's works have been shown in a diverse range of contexts, including with the Royal New Zealand Ballet, at Arts House Singapore (in collaboration with Good Company Arts, NZ), ISEA Hong Kong, and most recently at the 2018 New Zealand Festival. Prior to receiving his PhD at Victoria University of Wellington, Jim studied at California Institute of the Arts where he received a BFA in music technology. He currently teaches composition, sonic arts, and engineering at New Zealand School of Music, Victoria University of Wellington. New Zealand Māori composer, performer and anthropologist Rob Thorne (Ngāti Tumutumu) is a diverse and original explorer in the evolving journey of taonga puoro (traditional Māori instruments), fusing these ancient voices with modern sounds and technology. His debut solo album Whaia te Maramatanga (Rattle Records) is a deeply felt and highly concentrated conversation between the past and the present – a musical passage of identity and connection. Using modern looping technology and traditional Māori flutes and horns made from stone, bone, shell and wood, Rob creates a transcendent aural experience that touches the soul with timeless beauty. Every performance of "Whāia te Māramatanga" is a stunning and very personal exploration of the spiritual and healing qualities of an ancient practise. Rob’s combined musical and academic experience and skills are multitudinal. A musician with over 25 years performance experience in bands and solo, predominantly within alternative rock, free noise, experimental, and improvisational sound art, his work since 2001 with taonga puoro has seen him complete an MA in Social Anthropology, and since 2008, incorporate this diverse experience to create long, beautifully transcendent, ambient compositions using loops, intelligently blending the modern with the ancient: a format that is now being picked up and utilised by many taonga puoro players. Thomas Voyce is an award-winning audio engineer and sound artist from Wellington, New Zealand. He works primarily with environmental sound, usually performing site-specific electronic improvisations and recording the results with spatially-enhanced recording techniques, such as ambisonic and binaural capture. Having received a PhD from Victoria University in 2016, Thomas exhibited Octophonic/Ambisonic in 2017, a collection of 8-channel compositions, at Toi Poneke gallery. Thomas is currently developing a series of new binaural compositions while teaching audio engineering, spatial audio and post-production audio for film at the New Zealand School of Music. Flo Wilson is a composer, performer and artist based in Auckland, New Zealand. A recent graduate from Sonic Arts at Te Koki – New Zealand School of Music, Flo received first-class honours for her custom-designed multi-channel, spatial sound installations and subsequent performances. Her interests in music and art stem from computer music, embodied performance, spatial and immersive installations and the relationship we have as people to technology; how it can extend, reduce and manipulate our modes of being. Flo has exhibited and performed at the Moss Arts Center (USA), The Dowse Gallery (NZ), Adam Art Gallery (NZ) as well as composed (then performed) new works for the New Zealand School of Dance for the Choreographic Season. She is the outgoing co- artist in residence for the Toi Pōneke/ NZSM Sound Art Residency with Olivia Webb for 2017/2018. Mo H. Zareei is an Iranian sound artist based in Wellington, New Zealand. Using custom-built software and hardware, his experiments with sound include electronic compositions, kinetic sound-sculptures, and audiovisual installations. Regardless of the medium, Zareei’s work aims to highlight the beauty in the fundamental principles behind sound and light production. He has presented his work at various international venues including the New Zealand Festival (Wellington), Modern Body Festival (The Hague), ISEA (Vancouver and Dubai), NIME (London), ICAD (New York), ICMC (Perth), Wellington Lux Festival, and the Tehran Annual Digital Art Exhibition. He was the recipient of the 1st Sound Art prize at the Sonic Arts Award 2015. Zareei holds a BSc in Physics from Shahid University (Tehran), a BFA in Music Technology from CalArts (LA), and a PhD in Sonic Arts from Victoria University of Wellington. His recent portfolio of scholarly and artistic work on the intersection of sound-sculpture and brutalism has been published on journal publications such as Organised Sound (Cambridge University Press) and Leonardo Music Journal (MIT Press), and featured on Streaming Museum, Creative Applications, and Creators Project. Zareei's other artistic activities include collaborative audiovisual works with Jim Murphy under Technical Earth, and electronic music production under the moniker of mHz.